France; Middle 14th Century. Latin Text; Angular Gothic Script. The gold on this leaf has an unusual foil appearance when compared to that of other leaves in the portfolio. The red and blue tracery escapes like stray hair into the upper and lower margins. 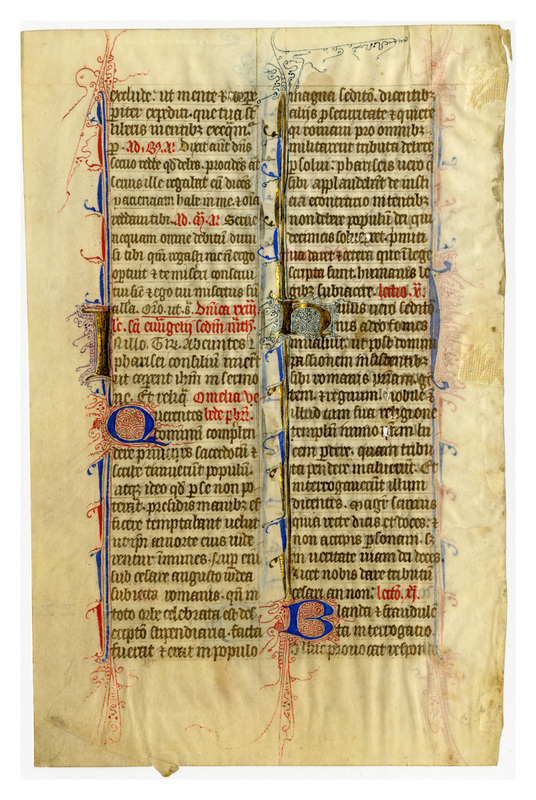 Compare the decoration along the left of each column to that of Leaf 18, from a French breviary of a generation or two earlier. 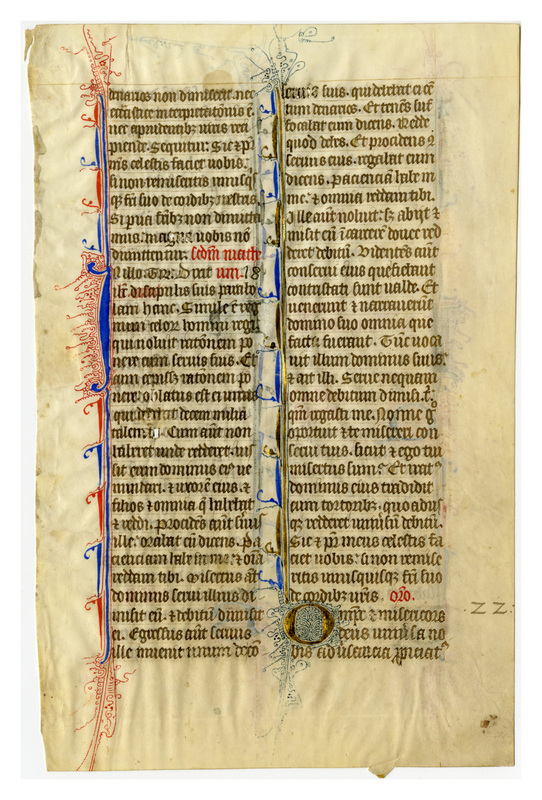 “E0023 Leaf from a Breviary (Breviarium),” Digital Exhibits | Denison University Archives & Special Collections, accessed April 23, 2019, http://exhibits.denisonarchives.org/items/show/45.